For over 30 years, Michele Kohl, President of Spa & Club Ideations, has helped businesses in the Hospitality, Spa and Fitness and Wellness industry increase their competitive advantage. With a talent for identifying growth opportunities and real-world solutions, Michele has a reputation for developing innovative strategies to expand offerings, increase customer engagement, and deliver an exceptional customer experience. With an attention to detail, Michele works hand-in-hand with leadership and staff of the businesses with which she partners. Spa & Club Ideations provides consulting services and industry expertise to diverse businesses including country clubs, resorts, spas, fitness clubs, and producers of spa and fitness products and equipment. Michele’s client list has included such names as Mayo Clinic, Elizabeth Arden Spas, Inc., Precor Inc., Walt Disney World Resorts, Disney/MGM Studios, and The NFL Quarterback Challenge. –Former distributor of the SolTec Lounge which included managing sales and marketing to the Resort & Hotel, Spa & Salon, Country Club, Health & Fitness Club, Senior Living Community, University, Medical, Private Home and Professional Sports markets. -As a Business Development Consultant to Mayo Clinic, partnerships were established taking the Mayo Clinic brand assets to hotel groups and other wellness tourism markets. Her initial project was collaborating with Clinic leadership to launch a unique spa concept as an enhancement to their highly successful Healthy Living Program. Surmounting industry-first challenges, Michele worked closely with hospital leadership and multiple department stakeholders to meet rigorous requirements in sterilization, infection control, product selection, service standards, and staffing, with consideration of standards established by the Joint Commission overseeing US hospital accreditation. -Michele was instrumental in critical path development and execution for Belfair Golf & Country Club in Hilton Head, SC, where she collaborated with the management team on the development, activity center operations, hiring of staff and grand opening of a new 17-acre indoor/outdoor multi-sport venue facility. 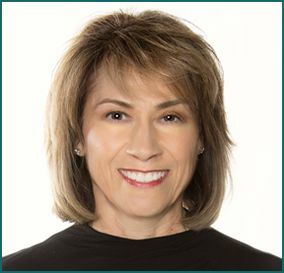 -She has managed operations and programs at Sawmill Athletic Club, The Club at Admirals Cove, Sonoma Mission Inn and Spa, YMCA and Summerhill Villa, and provided market research for Elizabeth Arden Spas focused on spa services for active-aging consumers and their communities. While contracted by Precor, Inc. Michele provided market research and lead generation to the Precor Sales team and their Dealer Network. -A previous venture, as President and Owner of Firm Fitness, Inc., Michele and her team provided personal fitness training, massage therapy services, CPR Instruction and fitness seminars for individuals, corporations, events, fitness facilities, and resorts including Walt Disney World, Isleworth Golf and Country Club, Orlando Regional Hospital Group, Valencia and Brevard Community Colleges . With over 25 years of luxury hospitality/spa operations leadership, Jeff Kohl has broad expertise in hospitality management, marketing, sales, retailing, operations, and programming & services. With many development projects to his credit, Jeff is a talented veteran of facility development, branding, and critical path to launch. Jeff’s visionary, results-driven style has been a driving force throughout his career, where he has delivered significant contributions and trend-setting innovations across diverse business operations. His confident and direct approach brings clear purpose and direction to the teams and initiatives under his leadership. Currently, Jeff is Area Manager, BBSI Las Vegas; BBSI (Barrett Business Solutions Inc.) combines expert knowledge with best-in-class management tools to minimize the complexities of running your business. In his role as a Business Development Consultant to Mayo Clinic, Jeff forged industry-first alliances with major hotel groups to establish the renowned Mayo Clinic brand in wellness tourism markets, capitalizing on a rapidly emerging trend in wellness-focused travel. Under a separate initiative, Jeff collaborated with clinic leadership on a unique medical spa concept. Spearheading a strategy to boost revenue from $300,000 to over $2.2 million, Jeff was a key player in Mayo Clinic’s initiative to provide a unique blend of traditional spa treatments and the Clinic’s renowned medical and aesthetics services to the community. Prior to his engagement with Mayo Clinic, Jeff served as COO at Red Door Spas/Elizabeth Arden, where he directed global operations, building strategic partnerships and managing the iconic brand’s 30 full-service spa and salon properties. He provided key leadership to Operations, Training, Marketing, Sales, and Products & Services teams, and directed an $11.5M initiative to build two new facilities and refresh all existing properties. Jeff was instrumental in the successful negotiation of Elizabeth Arden’s partial acquisition of Red Door Spas. Previous roles include establishing and directing a new Global Hospitality Sales Division for Precor Incorporated after facilitating the successful negotiation of an exclusive contract for Precor with Hilton Worldwide. Serving as Spa Director for Sonoma Mission Inn & Spa (Sonoma, Calif.) and The PGA National Resort & Spa (Palm Beach Gardens, Fla.), Jeff developed marketing programs that generated strong and sustainable revenue increases for both properties, and executed a 3-year, $5M turnaround within nine months for PGA National. Throughout his earlier career, Jeff made substantial and innovative contributions to the hospitality industry. As Director of Onboard Revenue for Princess Cruise Lines, he oversaw eight revenue departments onboard the fleet along with developing the first web-based spa reservation system in the cruise industry, a highly successful innovation which was rapidly adopted by other cruise lines and is now an industry standard. As Manager of Spa and Fitness for Disney Institute and Disney Cruise Lines, Jeff launched Disney’s spa business, developing the first Disney-owned and operated spas, overseeing the successful development of facilities on two Disney cruise ships. Jeff served multiple terms as Chairman of the International Spa Association, President of the International Spa Association Foundation, and was continually active with ISPA for 20 years. In addition, Jeff has led ISPA’s international restructuring and membership enrichment program. Jeff was recognized for his volunteer work and contributions at the 2018 ISPA Conference & Expo in Phoenix, AZ, where he was awarded the 2018 Dedicated Contributor Award.